The national leader of the All Progressives Congress (APC), Bola Tinubu, has advised the Nigerian Government against the planned to increase the Value Added Tax (VAT). Addressing a gathering at the Bola Tinubu Colloquium on Thursday in Abuja, he warned that such decision was capable of worsening the nation’s economy. “Consumers’ spending is slipping, and this is where I will stop and appeal to Professor Yemi Osinbajo, the Vice President, and his team to put a huge question mark on any increase of VAT, please,” the former governor pleaded. Officials of the Federal Ministry of Finance had defended the Medium-Term Expenditure Framework (MTEF) that VAT be increased during a presentation in the Senate. But the government’s decision was greeted by criticism from stakeholders in the business sector, including the Manufacturers Association of Nigeria (MAN) which said VAT increase would leave the economy in a more vulnerable state. 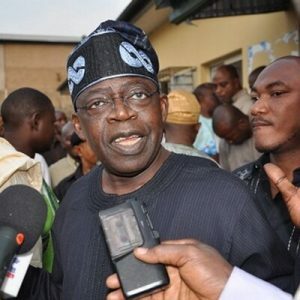 In its bid to generate more revenue, Tinubu who advised the government to reconsider its decision suggested another way to go about it. According to him, Nigeria is still in the process of defining itself politically and economically. The APC leader, however, noted that it was tempting and easy to borrow indiscriminately from the nations that have mastered the act of democratic governance and have achieved economic prosperity.